I'd been watching the nest for several weeks. Super dark with the heavy canopy of several pecan trees. could not make out the parents brooding on the nest. Finally the babies hatched and grew big enough to stand up and peer over the edge. This was my first half way decent shot & it was still challenging with the lack of light. You can see two babies here, one is way on the left peeking at me. The bigger one looks rather fierce already. 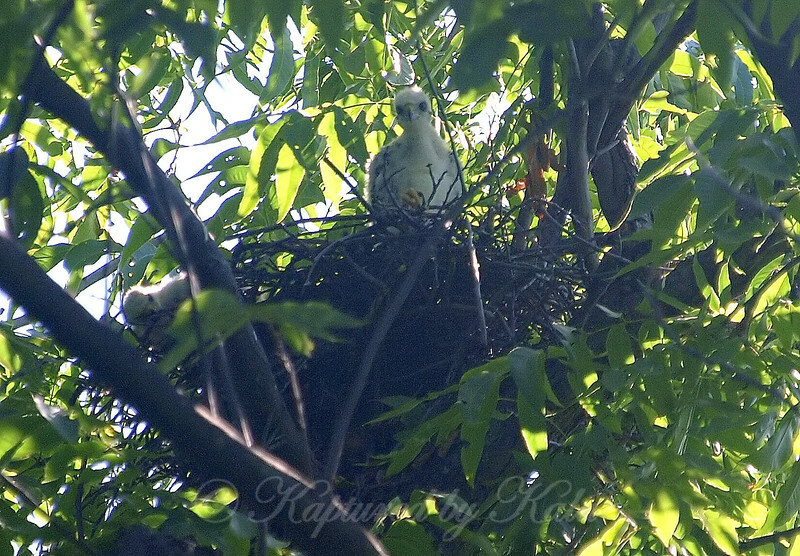 Cooper's nest later in the season than the red-shouldered hawks did.